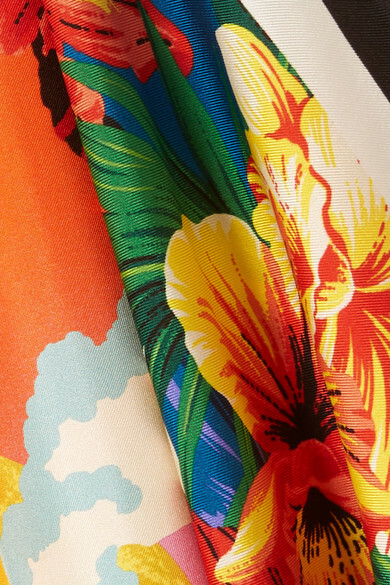 Gucci's vibrant Hawaii-inspired print is set to be huge for the label this season. 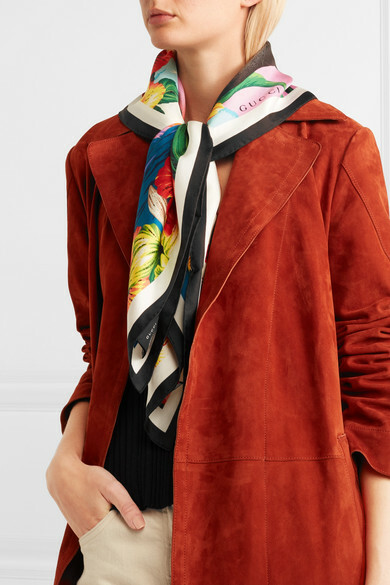 Made in Italy from supple silk-twill, this scarf is decorated with an array of tropical florals, a smoking volcano and black panthers. It can be worn in so many ways – tie it in your hair, to your favorite tote or even knotted through the loops of jeans. Shown here with: Elizabeth and James Coat, Jacquemus Top, The Row Jeans.